Fashion Island feels like exactly that — an oasis of shopping, restaurants and fashion rising up from the Pacific. In fact, it&apos;s a mile or so from shore, but you can see the ocean shining in the West from Fashion Island&apos;s terraces, and you feel the fresh salt air the moment you step out of your car. Cool breezes catch the spray from the many fountains gracing the Italian architecture of this outdoor shopping center, carrying the spirit of Newport Beach along walkways lined with some 150 specialty boutiques, prestigious departments stores, restaurants and cafes, many with al fresco dining. Whether you&apos;re on a hunt for the season&apos;s hottest handbag or just out for a leisurely stroll, Fashion Island combines luxury shopping and casual California lifestyle with the promise of something for everyone, including plenty of places to sit back and watch the people — and adorable little dogs — go by. 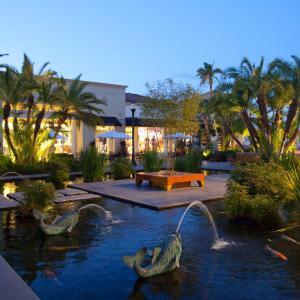 Fashion Island is located above Pacific Coast Highway between MacArthur Boulevard and Jamboree Road in Newport Beach, across from the Island Hotel® and Newport Beach Marriott. Note that individual store and restaurant hours and holiday hours may vary. 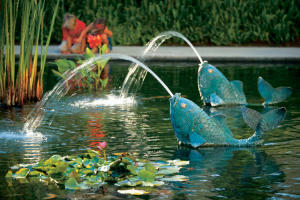 For additional information, contact the Fashion Island concierge at (855) 658-8527 or (949) 721-2000. Learn more: Fashion Island Directory.